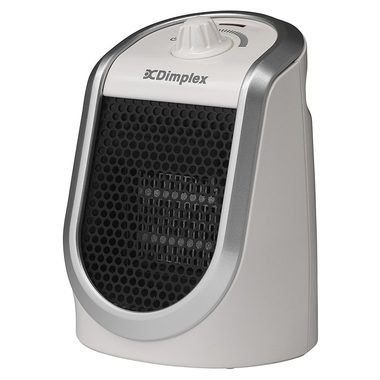 No need for extra jumpers and gloves at your computer this winter with the Dimplex Desk Friend, a compact, highly portable personal ceramic heater. Without cluttering up your desk space, the Desk Friend ensures you can work comfortably even if the rest of the office feels too cold. Desk Friend is safe and easy to operate, with a personally comfortable 250 watt single setting for an instant top-up of warmth. The heater also offers a standby thermostat to maintain your desk’s temperature. Should the Desk Friend be accidentally knocked over it automatically switches itself off. The Desk Friend also incorporates a handy USB charging port compatible with both smartphones and tablets, ensuring they remain topped up, even during the most demanding of working days.